Veronica Etro has created enchanting character prints for her 'Start Daydreaming and Dancing' Resort '19 collection, with genies emerging from bottles, and acrobats suspended from towering swings. 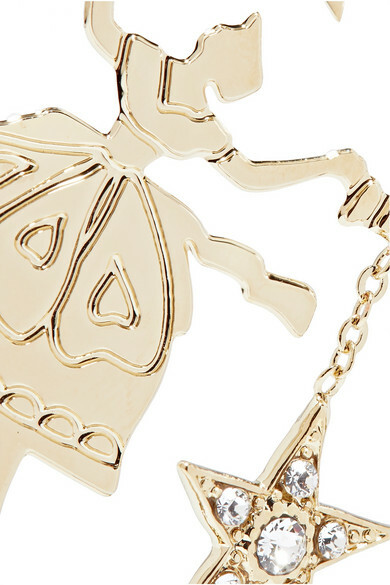 These earrings feature two dancers, twirling between crystal stars. 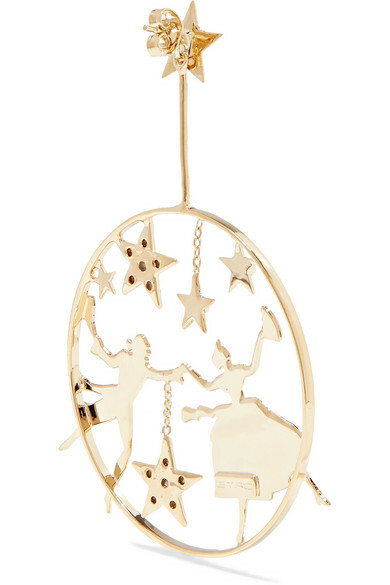 They're cast from gold-tone bronze in a circular shape, with the main design hanging from another star by a fine spoke. Shown here with: Chloé Top, Chloé Shirt, Etro Pants, Gianvito Rossi Sandals.